You know, it seems like it’s only a matter of time before a Warner Bros. property gets the LEGO treatment these days – especially if it’s something related to DC Comics. Still, I can’t say I’m somewhat surprised to see the DC Super Hero Girls franchise receive such an adaptation due to it having been around for only a few years, but this will do nothing but help the brand reach a broader audience. So, if you or your child love these younger re-imaginings of some of pop culture’s most iconic heroes and villains, then you’ll definitely want to check out LEGO DC Super Hero Girls: Brain Drain, which is slated to arrive via Digital HD on July 25, with the DVD release following on August 8. With Wonder Woman arriving in theatres this weekend, there couldn’t be a better summer to release an animated film such as this, allowing young girls who dig fantastical characters the chance to absorb something spotlighting those more relatable to them. 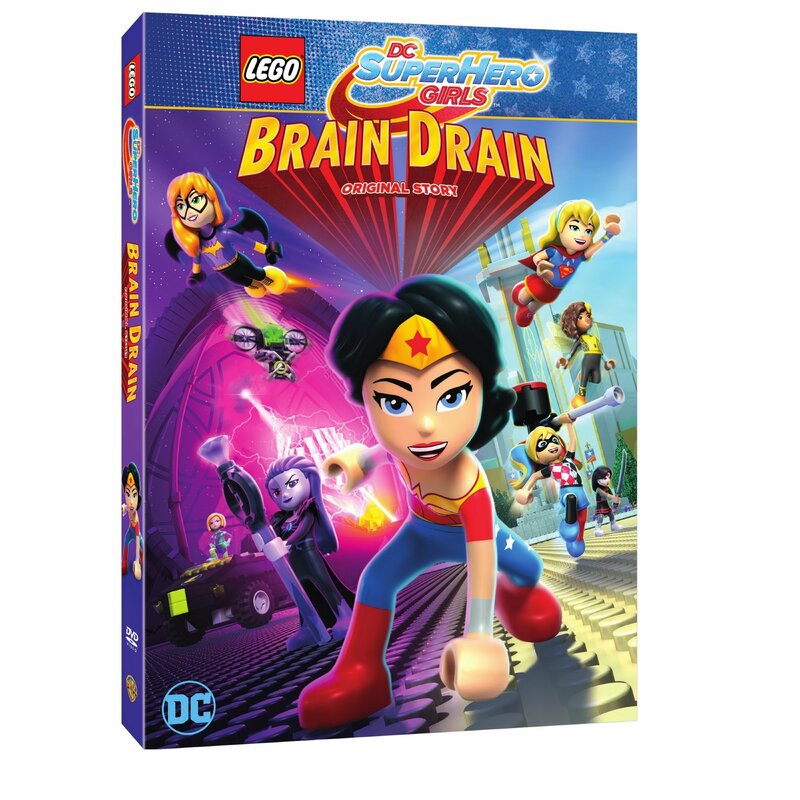 Knowing the quality shown by the web series and the comics that gave way to it, we can only hope that LEGO DC Super Hero Girls: Brain Drain continue to uphold that standard.